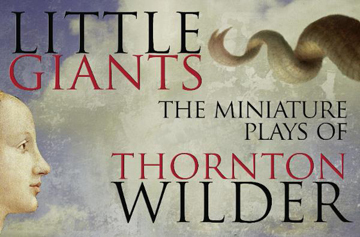 In honor of the 75th anniversary of Thornton Wilder’s masterpiece "Our Town," the creative minds at imaginary beasts plan to celebrate the author. Relying on their own offbeat style of theater, they will explore Wilder's less known early works -- inventive playlets showcasing his burgeoning interest in experimenting with form. Directed by Matthew Woods the production will run from April 5 - 27 in the Plaza Black Box Theatre at the Boston Center for the Arts, 539 Tremont Street in Boston. Audiences will experience poets and peasants, a mermaid and Mozart flicker into vivid and fleeting life as worlds of wonder and mystery unfold in a dreamer’s twilight. The cast features Kamelia Aly, Cameron Cronin, Amanda Goble, Gabriel Graetz, Timothy Hoover, Molly Kimmerling, Poornima Kirby, Amy Meyer, Elizabeth Pearson, and William Schuller.